Do you spend the holiday season triumphantly pumping your fist in the air, buoyed by the unwavering belief that your gift ideas are so absolutely spot on, they'll make their intended recipients shout out with glee? 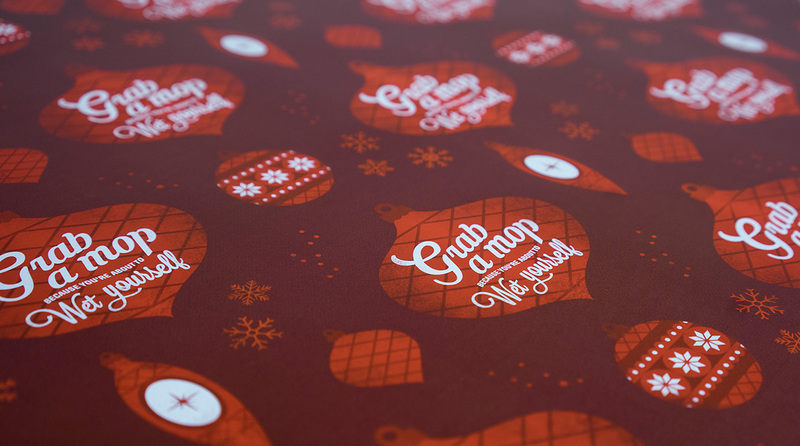 If so, you should check out Overconfident Wrapping Paper, the creation of a few mischievous elves at GSD&M. 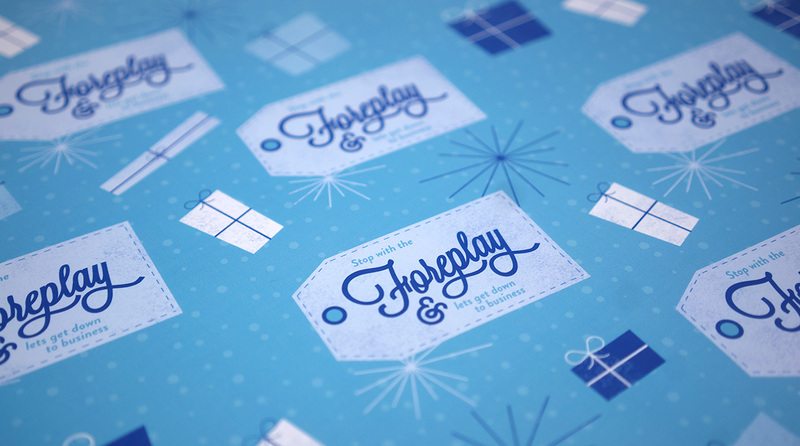 This particular wrapping paper replaces seasonal sayings such as "Joy to the World" and "Peace on Earth" with cocksure copy alerting those who are about to tear open their packages of the orgasmic awesomeness nestled within. 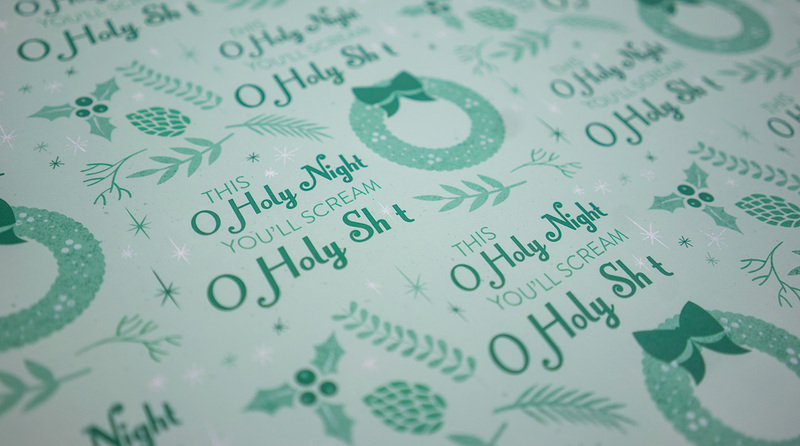 They'll surely get the message from lines like, "Grab a mop, because you're about to wet yourself," "Stop with the foreplay and let's get down to business" and "This O Holy Night, You'll scream O Holy Sh t."
"There is so much anxiety associated with holiday gift giving," GSD&M group creative director Ryan Carroll explains. "Did I get the right gift? Will they like it or just return it? Should I include the gift receipt? We loved the idea of swinging the pendulum in the opposite direction and creating something cocky or brash for those occasions when you know you nailed it." The paper is available at Etsy for $20, and proceeds benefit the Health Alliance for Austin Musicians in GSD&M's Texas hometown. "When you give the perfect gift, it takes everything you have not to tell the person how amazing it is," says Carroll. 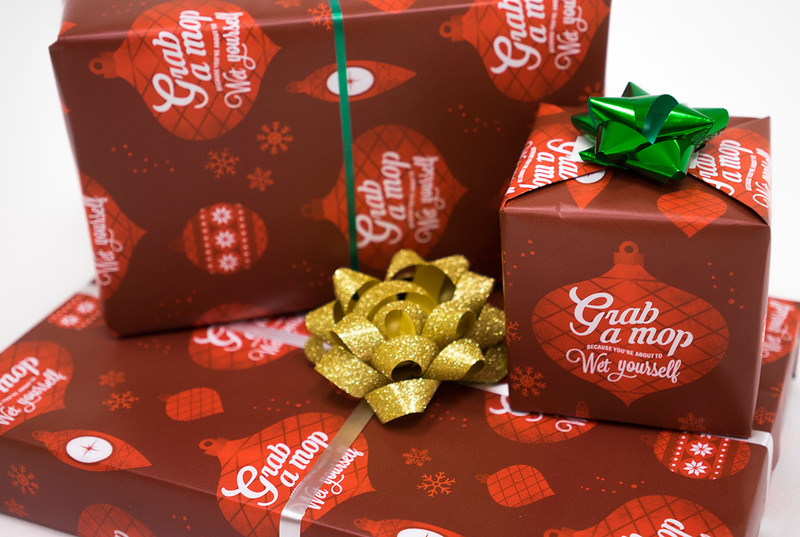 "Now you can let your wrapping paper do the talking for you. Also, we really wanted to use a 'Pee yourself' joke."